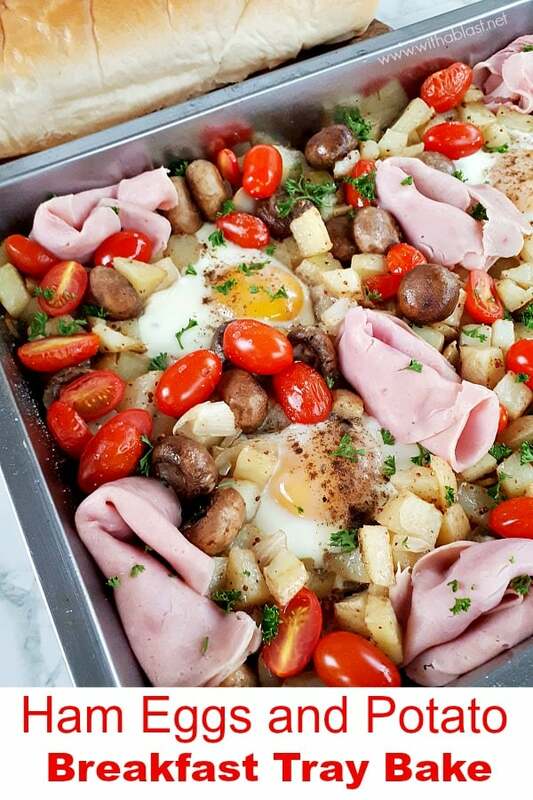 Simple, everyday ingredients make this Ham Eggs and Potato Tray Bake a winner every time – Make 2 trays and feed a crowd during the holidays ! Love one pan/pot/tray bakes ? 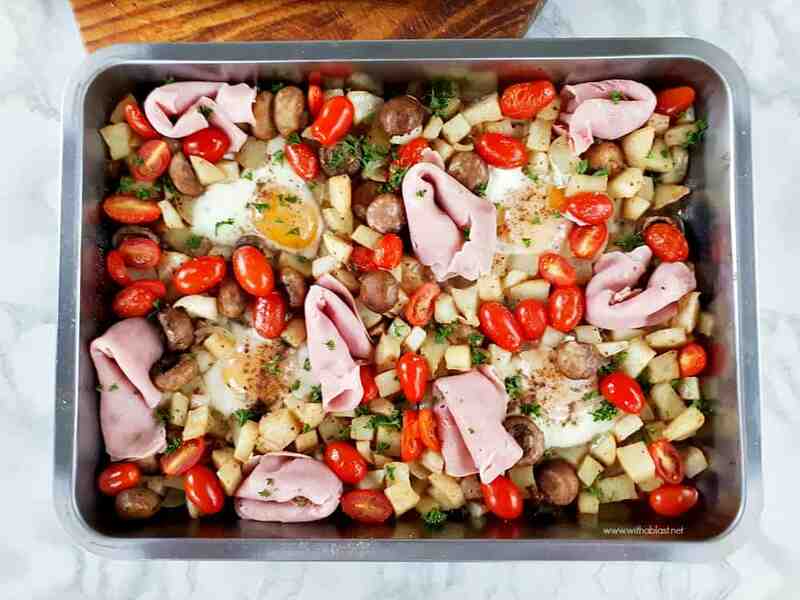 This Ham Eggs and Potato Breakfast Tray Bake will definitely come in handy, especially during the holiday season. Honestly, my biggest love for any main meal cooked in one dish, is that there are less dishes ! Besides who wants to start off the morning (after having a hearty breakfast), with loads of dishes to wash ? 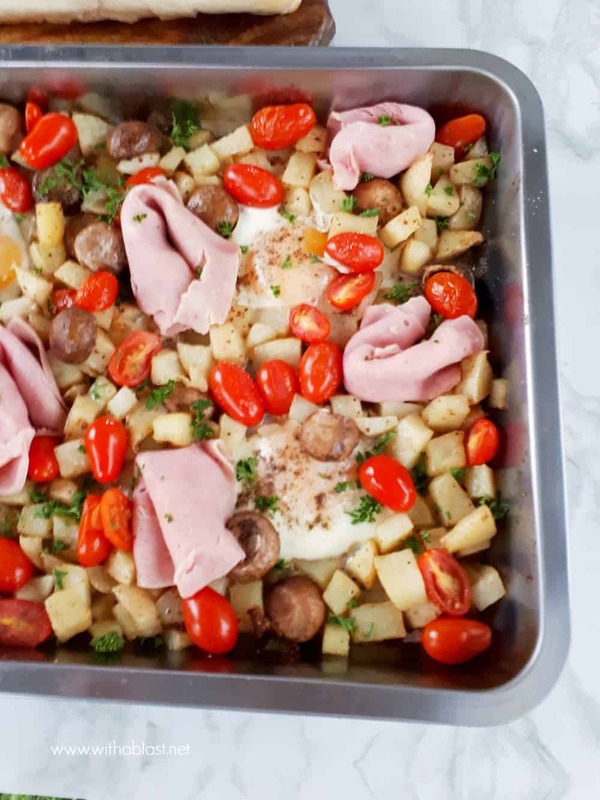 Not to mention that this tray bake also makes a delicious, quick to throw together, dinner. Also nowadays known as brinner, although I can not get around to using the actual word brinner ! I am still at brunch, combo timing of a breakfast and lunch, served later than the usual breakfast time, but earlier than lunch. Now, brunch is always a big hit with my family as we are not really early breakfast eaters. 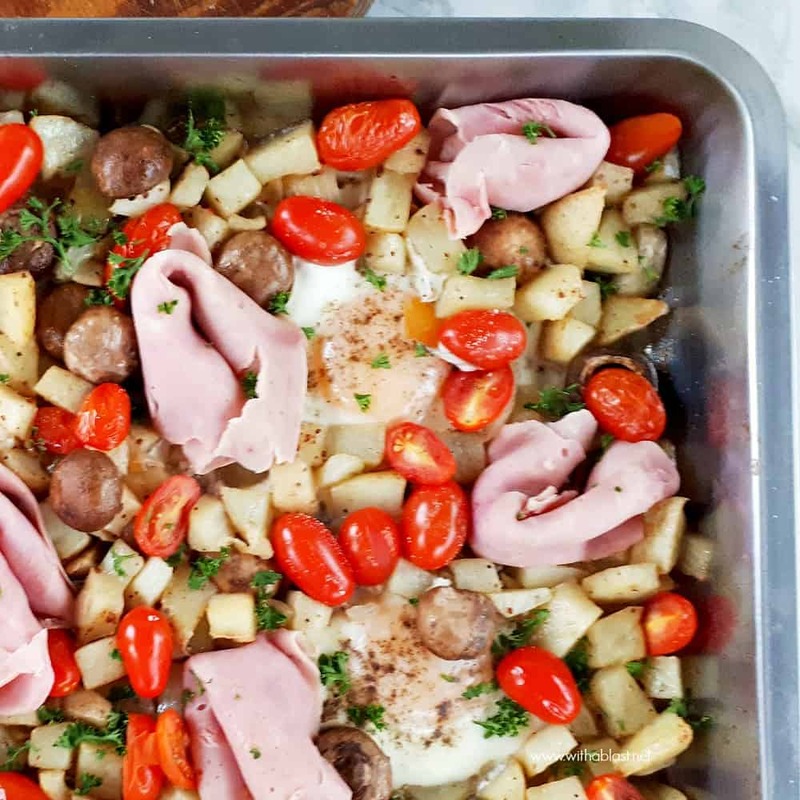 This recipe for the Ham Eggs and Potato Breakfast therefore is more a brunch idea (for us anyway). I can take my time prepping and baking the dish to serve anytime between 10 and 11 am. You will notice that I have a heavy hand when it comes to Pepper seasoning ! We are all Pepper lovers, but I am a little over the top with my own food. In the photo above (egg below)… that is mine ! Told you I am over the top with Pepper. Normally I would add seasoning fairly lightly, but in this breakfast bake, it is so easy to see which (specifically the eggs) part has added Pepper. My oven is big enough to stick in two trays (center rack), therefore the recipe is perfect when we have guests over for breakfast, or I should rather say brunch. Simple, everyday ingredients make this Ham Eggs and Potato Tray Bake a winner every time - Make 2 trays and feed a crowd during the holidays !